Animal species can become endangered, but what about languages? Around 80 percent of the world’s population speaks just 20 percent of its 7,000 languages. That means most languages are used by small communities. A language can eventually reach a point where it loses all of its speakers. When that happens, the knowledge and traditions that are passed down through it are lost as well. Pérez Báez: A language can, unfortunately, become endangered relatively easily. It happens when fewer and fewer people speak it, and especially when children stop learning it as their dominant language. These children are then less likely to speak it at home and teach it to their children. 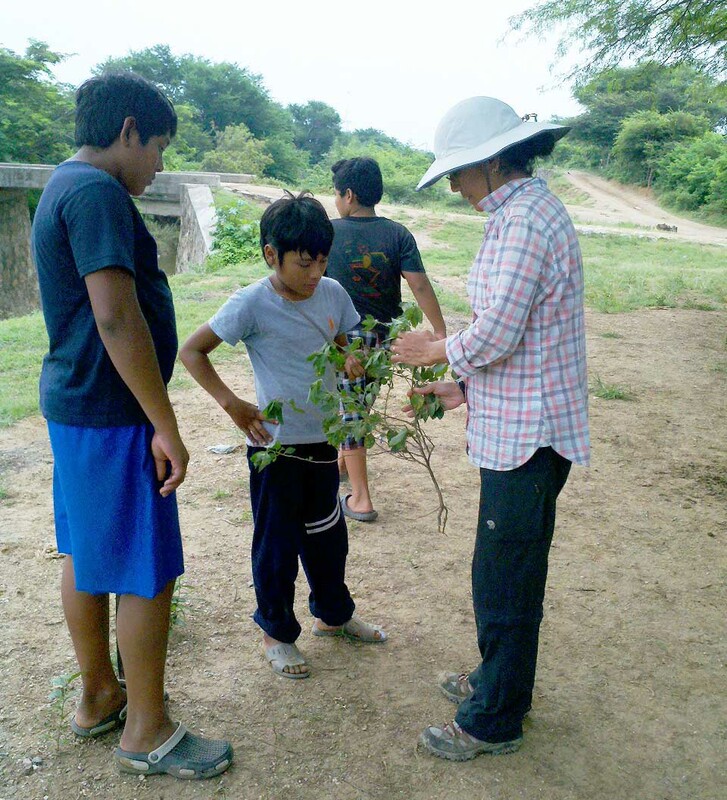 Gabriela Pérez Báez working with children of the Zapotec community of San Lucas Quiaviní, Mexico, on options for the orthographic representation of their language. One main reason the intergenerational passing down of a language can stop is external pressures on a language community that drive some of its members to favor a more dominant language. This often occurs because the more dominant language is perceived or presented as a condition for ensuring quality of life. For instance, having to speak a certain language might be a condition for getting a job, or accessing healthcare or education. Under such pressures, many people opt to shift to the favored language. Q: Why should an endangered language be saved? Pérez Báez: When languages disappear, we lose Information about how language functions. For instance, language documents information about what might be important for a people to survive. Some languages can be traced back thousands of years and the survival strategies of their speakers are often encoded in a language. 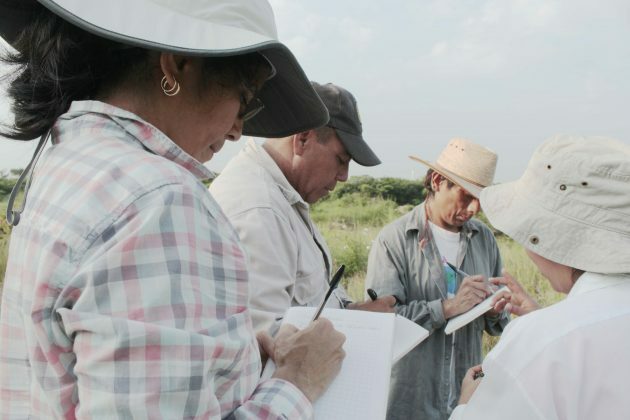 Pérez Báez at work during a visit to the Zapotec community of La Ventosa, Mexico, with a team of other researchers. The group was conducting a collaborative and participatory project to document the lexicon and cultural knowledge associated with the flora of the town. In many ways, language is like a map that shows us how humanity has come to be the way it is. Language endangerment also is associated with human rights issues. Access to healthcare is one example. Many communities around the world have ancestral means to stay healthy, but sometimes they need to seek outside health services. If these services aren’t offered in their language, their access to healthcare is restricted. What most people don’t realize is that this doesn’t just happen in faraway places. It happens here, in the U.S., too. If a person who uses sign language goes to a hospital and there is no American Sign Language interpreter available, that person has difficulty communicating. That difficulty in and of itself constitutes a restriction to the access of a critical service, and is a human rights issue. Gabriela Pérez Báez at work in the Zapotec community of La Ventosa, Mexico during a project to document the lexicon and cultural knowledge associated with the flora of the town. Q: How do you work with endangered languages? 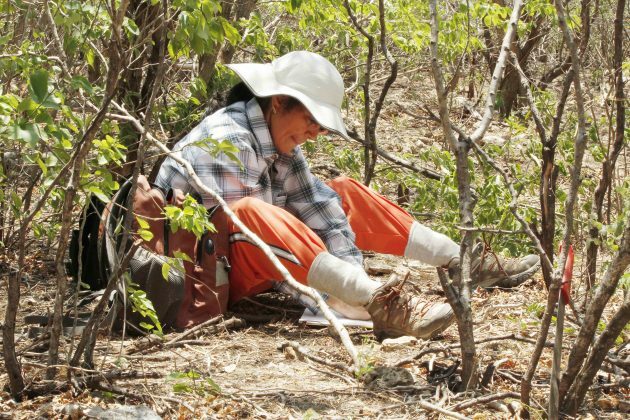 Pérez Báez: There are many different aspects to my research. As a linguist I focus on documentation and analysis by collecting data on a language. For example, I record stories spoken in a language so I can hear the subtleties of how words are pronounced, which elements of a word or phrase are emphasized and how sentences are formed. Very often I conduct this analysis in collaboration with a native speaker. I do a translation of the story to understand its structure, and therefore what role each component of a sentence might have. By doing this, I eventually start to understand the structure of the language itself. Q: What languages does your research focus on? Pérez Báez: Zapotec languages spoken in Mesoamerica, mostly in the state of Oaxaca in southern Mexico. We don’t know how many Zapotec languages exist because they are one of the most diverse language families in the region. 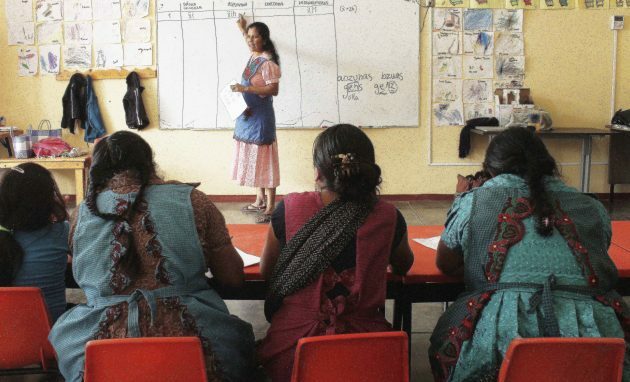 You could learn the Zapotec used in one town, then drive just a few miles to another Zapotec-speaking town and find enough differences in the second town’s language that you cannot understand what they are saying. Q: How is the Smithsonian responding to the issue of endangered languages? Pérez Báez: The Smithsonian’s Recovering Voices initiative is a response to the problem of language endangerment. The initiative capitalizes on the strengths of the Smithsonian—our research, collections and outreach—to raise awareness about the importance of language and cultural diversity. We also use Smithsonian research and collections to assist in efforts to revitalize these languages and cultures.